This book forms part of a conversation around Africaâ€™s growing youth population. In Making Africa Work, Millsâ€™ and his co-authors came to the conclusion that the increase in the youth demographic means that the usual economic policies would not work anymore. In this book, they attempt to find out what needs to change. The conclusion they come to is that there needs to more economic growth. That growth they say can only come about through more democracy first. Different people view democracy and its advantages and disadvantages differently. 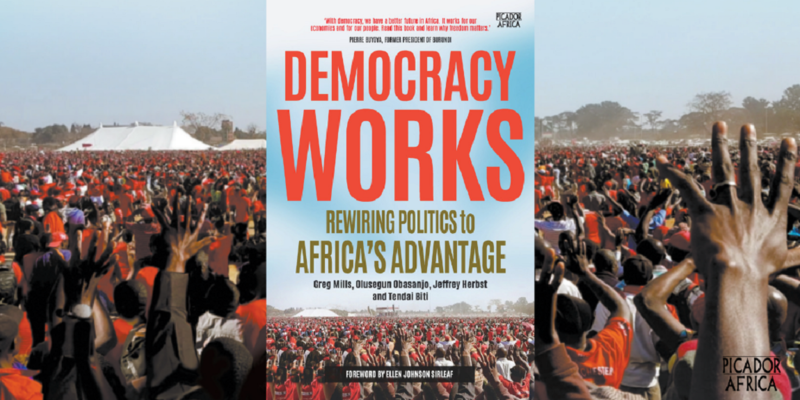 Regardless of how you feel about the governance system the book attempts to show that democracy is the best way presented at this point for Africaâ€™s collective and individual growth. The authors say in conclusion that the best way for African countries and their governmentâ€™s to deal with the young population is through democracy. Whatâ€™s Behind South Africaâ€™s Messy Foreign Policy? â€œMore importantly in the book we ask the question is authoritarianism/dictatorships the answer to Africaâ€™s developmental issues. We show that unlike what seems to be the general view of China and Asia that the record of authoritarianism in Africa is very poor because these are not competitive systems of government,â€ he said. â€œThe Ethiopians themselves have said they need more democracy and of course last year there was tremendous political change as a result of this. They see democracy and development intertwined and now the president is pushing so hard,â€ he said. As for Rwanda, Mills thinks the country is a special case where its history has influenced its development. He adds that its developmental model cannot be used anywhere else in Africa. â€œDemocracy is what the vast majority of Africans want and as we show through opinion surveys two thirds of Africans regularly poll that they prefer pro democracy as opposed to any other government. Itâ€™s not a question about democracy as a choice. Itâ€™s about setting up the conditions that majority of Africans require and desire,â€ he added. In May 2019, South Africans above the age of 18 will be going to the polls to vote for the sixth democratic government. With the many governmental changes, scandals and the particular moment the country finds itself in, these elections have been hailed as important. Mills said due to South Africaâ€™s economic position and the huge percentage of Africaâ€™s wealth it hold, the election will be closely followed. â€œThe outcome of this election and the direction we take as a result of this election is all important,â€ he said. Mills said the big three political parties will all have major questions going into the elections depending on which way their support goes. â€œEach of those scenarios have consequences […] For the ANC it is the magic 60% margin: is Cyril Ramaphosa going to be able to keep the party above that threshold or are they going to dip down for the first since 1994,â€ Mill said. He says that the president has the decision of keeping his party together at the expense of the party or doing the opposite and risk losing the African National Congress (ANC). â€œI think it is a fork in the road for every party. It signals 25 years on from 1994. It signals the next generation almost perfectly and of change. Every election is important but this is perhaps a little more symbolically so,â€ he adds. Youth participation in these elections have been flagged as a concerning matter. The Independent Electoral Commission (IEC) has urged young people to go out and register to vote for the elections. When asked about this and the perceived youth apathy, Mill said the environment is difficult for young people who perhaps relate much better to technology than they relate to traditional politics. â€œThere are new modes of engagement which I donâ€™t think politicians – perhaps only the more populist ones – understand. There is a big challenge for us across Africa and in South Africa about how to we equip young people and how do we ensure our economic structures are there to provide young people with the opportunities,â€ he said. Millsâ€™ points out the age disparity between the general population and politicians as a big problem with youth involvement. â€œI donâ€™t think the older politicians really speak to the concerns of the majority of our populations. And how you narrow that gap and technologies and language and content is absolutely critical. I think it centers on growth and jobs,â€ he says. Mills points out that the general polity is becoming increasingly shaped by questions of identity and in particular questions of generational identity. Published by Picador Africa through Pan Macmillan Publishing itâ€™s available at all good bookstores and online.